Notable achievement in Environmental performance. Compliance with Annual Work Plan approved by Sabah Forestry Department. Attained the prescribed standard in accordance with Effort Rating Values of Safety and Health Assessment. Full compliance against all TLAS critical criteria for forest management in Sabah. Implemented Environment Management System complying with ISO 14001:2004. 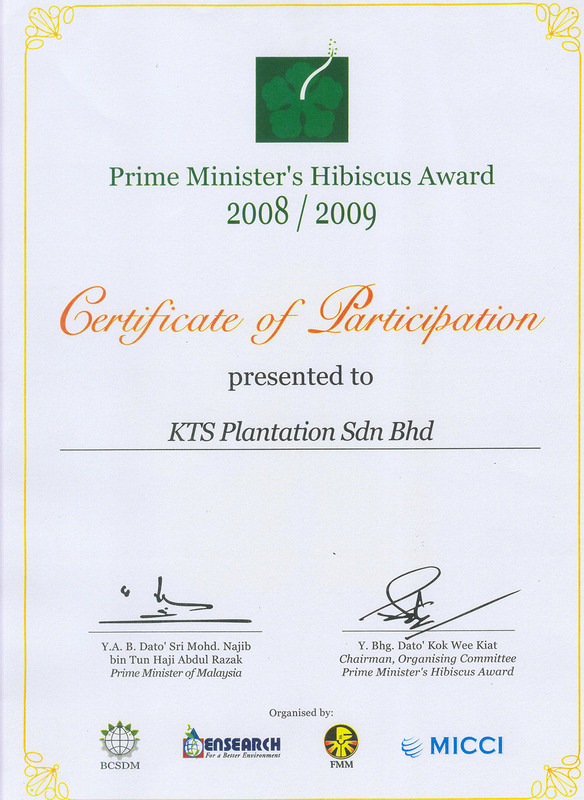 Implemented the requirements complying with Malaysian Criteria and Indicators for Forest Management Certification.